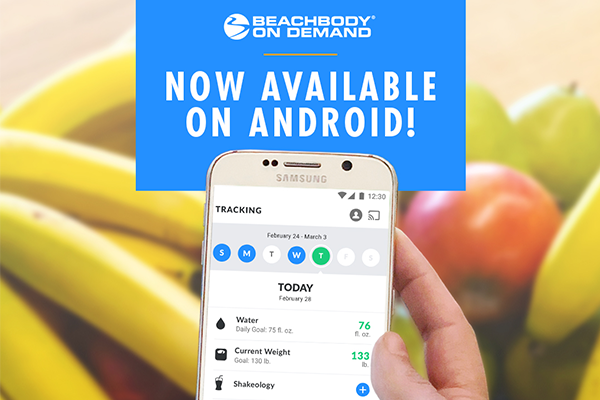 Nutrition tracking on the Beachbody On Demand Android app allows you to record your meals, water intake, daily Shakeology, and weight so you can easily stay on track with your goals. You can track your meals using the portion-control system with Ultimate Portion Fix or through the Plate It! method with 2B Mindset. Download the latest version of the app (V3.0.0 or later) to access. Note: You must be a Beachbody On Demand member to access the Android app at this time. For more information, visit FAQ 8836. 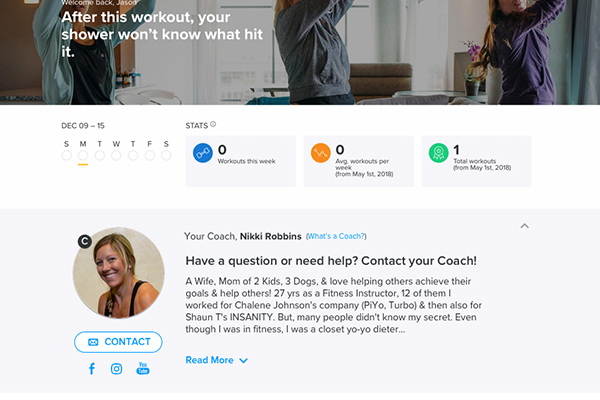 You can now learn more about your Team Beachbody Coach in the new “Personalized Coach Display” on the BeachbodyOnDemand.com homepage when you’re logged in. As a Beachbody On Demand member, you have free access to your own personal Coach, who can provide the support, motivation, and encouragement you need to stay accountable to your health and fitness goals. Pro tip: Learn how to become a Team Beachbody Coach here. The modifier option (available for select programs) has now been enabled on BOD iOS devices. When streaming a workout, select the ‘MOD’ option in the lower right screen to view the modifier. Note: You must have the latest version of the BOD iOS to view this option. 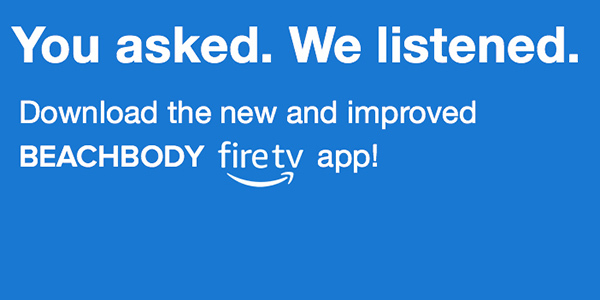 The modifier track is also available on desktop, Amazon Fire, Roku, and Android BOD devices. 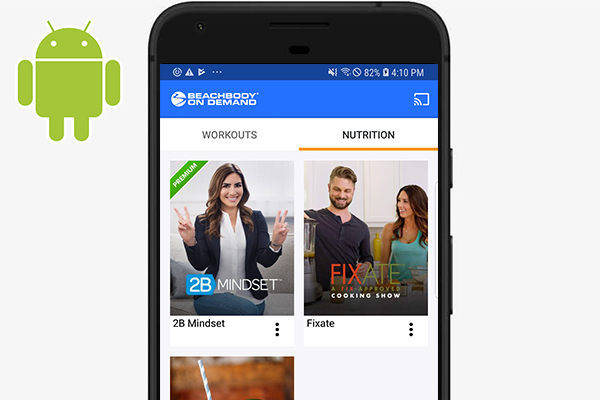 The Nutrition tab, which houses the 2B Mindset nutrition program, Shakeology channel, and FIXATE cooking show now appears on the Android Beachbody On Demand app. Learn more about the Nutrition tab in this FAQ. We’ve made it easier for you to stay connected with your Team Beachbody Coach! 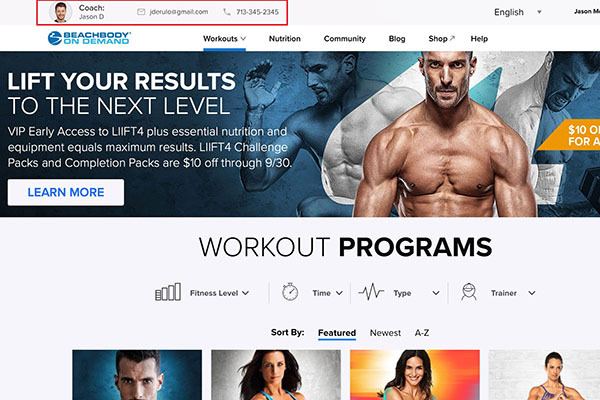 When you’re logged into BeachbodyOnDemand.com (excludes the BOD blog and Community), you’ll see your Coach’s contact info at the top of the page, so you can reach out to them anytime you want help getting started with a program, advice, and tips to stay motivated, or to join their next Challenge Group. Your Coach’s support can make all the difference in helping you stay accountable to achieving your health and fitness goals. To give you more insights into your workout history, we’ve added two new stats to the Beachbody On Demand homepage: “Total Workouts” and “Average Workouts Per Week.” You must be logged in to view your personal stats. 2B Mindset can now be streamed through the Android, Roku, and FireTV Beachbody On Demand apps, in addition to web browser and the Beachbody Nutrition+ App. Due to low usage, we are removing the Challenge Du Jour from Beachbody On Demand on August 29, 2018. We regularly evaluate feedback from our members to enhance the BOD experience and found members prefer to select workouts or programs that align with their specific health and fitness goals, as opposed to following the Challenge Du Jour general schedule of workouts. Beachbody On Demand has hundreds of workouts and more than 45 programs, with new content added on a regular basis! Whether you want to lose weight, build muscle, or just get healthier, there is a program on BOD for you. If you need help choosing your next program, contact your Team Beachbody Coach. You’ll find your Coach’s contact information within the “My Account” page on TeamBeachbody.com – just use your Beachbody On Demand credentials to log in. Note: You can still access any workout ever featured on the Challenge Du Jour on its associated program page. If you are using the My Challenge Tracker app for your Challenge Group, we have some great news for you: It’s now even easier to track your Beachbody On Demand workouts within the app! By enabling “Activity Syncing” in My Challenge Tracker settings, any time you complete at least 75 percent of a workout on Beachbody On Demand, it will be automatically logged on My Challenge Tracker. You can turn on “Activity Syncing” within the settings section of your My Challenge Tracker app. Learn more at FAQ 1360. June 11, 2018: LIIFT4 & Mes de Más VIP Early Access Available for Purchase on Teambeachbody.com. Start Streaming Today! LIIFT4 and Mes de Más are now available in the Beachbody On Demand member library! LIIFT4 and Mes de Más product bundles include essential equipment and nutritionals for maximum results. The program features 24 unique workouts, 30 minutes a day, 6 days a week. Mes de Más is a practical solution to getting fit and staying healthy by adding more movement, more healthy foods, more water, and more sleep. 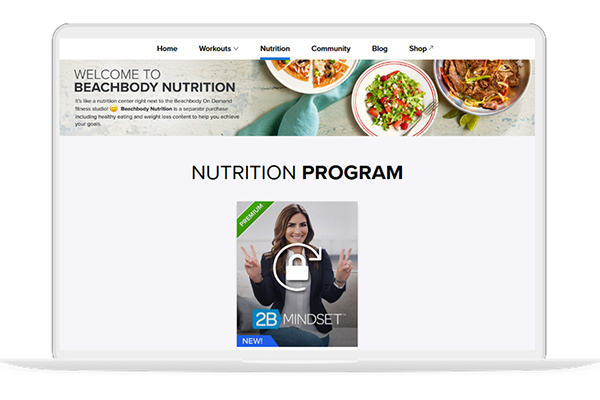 The new Nutrition tab on Beachbody On Demand is now the home to the premium 2B Mindset nutrition program, plus a new Shakeology channel, and the FIXATE cooking show with Autumn Calabrese and her brother, Bobby. Nutrition tab is only available on desktop and cannot be accessed using Roku, Amazon Fire, Apple TV, or the iOS app.